Here we list our ten best British beachcombing beaches, exploring our diverse British coast can be great fun with each stretch having a different story to tell, from fossils and dinosaur footprints to ancient coins and polished glass. Often the best time is after a period of strong wind and high tides, making the Spring and Autumn seasons the most productive although the Summer can be a great trip when combined with rock pooling. You really need to beachcomb on a falling, not a rising tide, and take great care before picking anything up, never take live objects and don’t disturb wildlife or roosting birds. 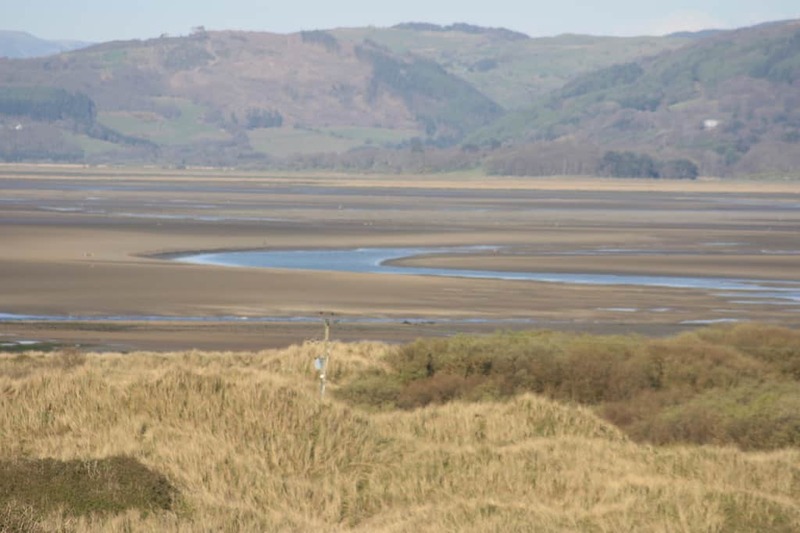 Check tide tables before going out to hunt, all our beach pages on Coast Radar give you tide times for the next few days and we have linked to some of the relevant pages below. Being a beachcomber requires patience and a keen eye, head towards any rocks or groynes as they can often trap some interesting pieces, but please stay clear of unstable cliffs when fossil hunting. Runswick Bay is on the North Yorkshire coast just to the north of Whitby. The beach is a large sand and shingle beach with some rocks and boulders sitting beside a nice village backed by Jurassic cliffs. The Whitby area is known for shiny pieces of jet, but you are more likely to find ammonite fossils as well as interestingly shaped shells. Just after rain, the cliffs can show fossils hidden in the cliff-face, so keep an eye on the scree slopes at the base of the cliffs. For location information see our Runswick Bay beach page. 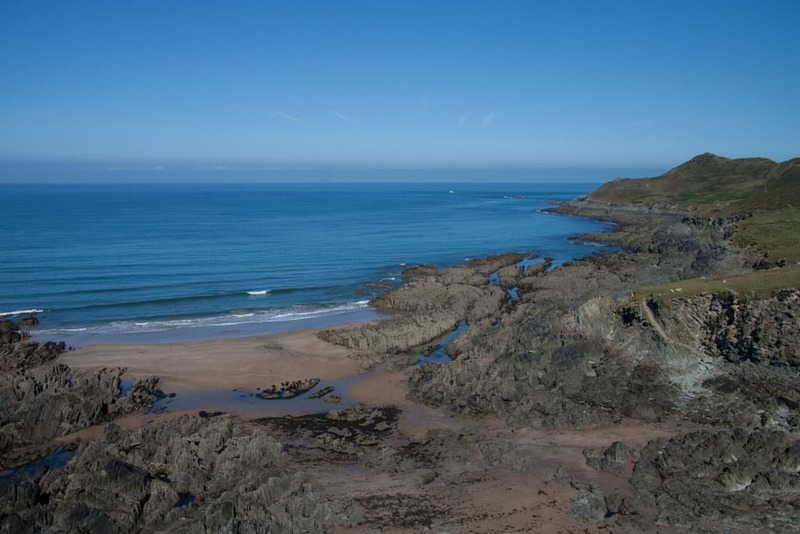 Barricane beach is just to the north of Woolacombe in Devon and is designated a site of special scientific interest. The beach is also known as “Shell Beach”, a reference to the many cowries and exotic shells that come across from the Caribbean on the gulf stream. 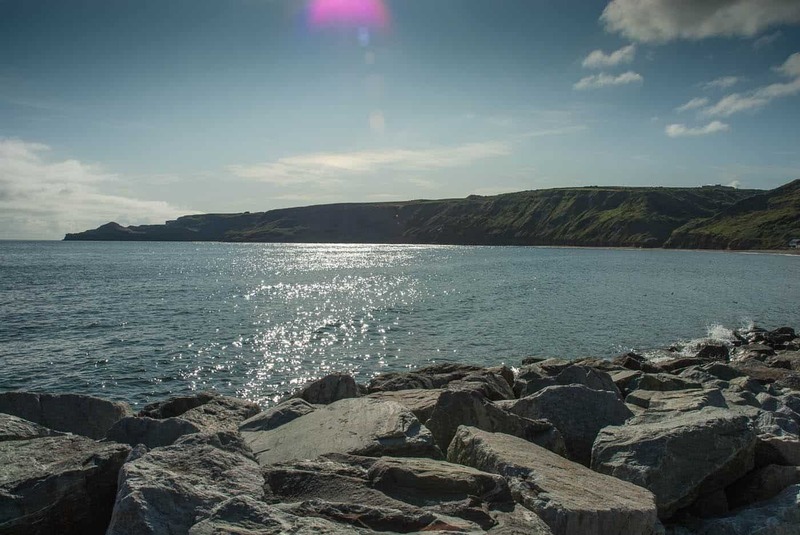 The area is backed by Morte Slates, a series of silvery-grey to green coloured slates with some subordinate sandstone and siltstone rocks that are over 400m years old and searches within these will show many fossils. For location information see our Barricane beach page. Well, we have to mention the Jurassic Coast, a 150km (95 mile) stretch of coast along the English Channel, designated as a World Heritage Site and is covered in fossils with every new high tide more fossils are exposed. While collecting is encouraged and seen by scientists as the best way to find and preserve fossils, the Jurassic Coast is a world heritage site and visitors are urged to respect the environment and not damage the soft cliffs. The famous fossil collector and palaeontologist Mary Anning lived in Lyme Regis in the first half of the 19th century; the fossils she discovered leading to major changes in our understanding of Earth’s history and prehistoric life. Besides many important fish fossils, Anning found complete skeletons of a range of sea beasts along the coast, including two Plesiosaur skeletons. 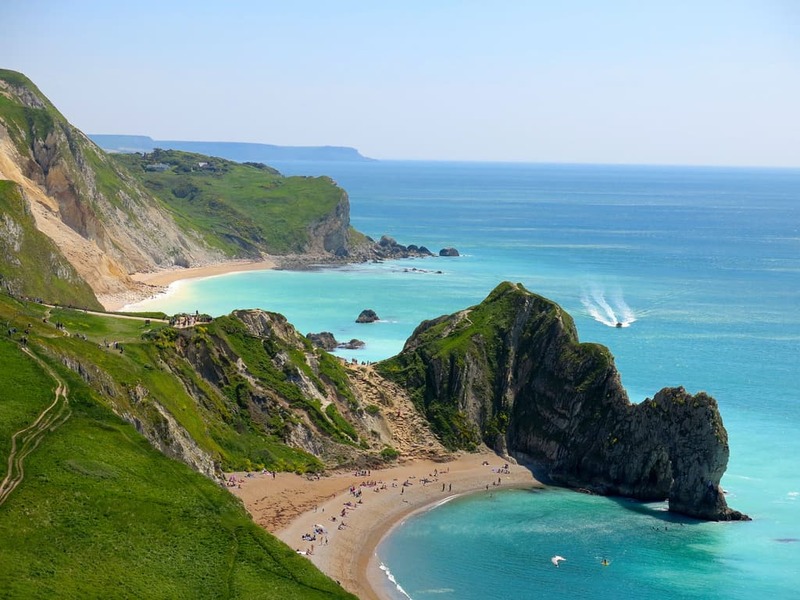 The Jurassic Coast has dozens of historic towns and villages along its entire length all of which can make great bases for discovering the coast, Exmouth in Devon is the western gateway whilst Swanage in Dorset is the most easterly town on the Jurassic Coast. Lyme Regis museum organises regular fossil walks, talks and fossil-hunting expeditions. Lunan Bay sits on the Angus coast between Montrose in the north, Arbroath to the south and just a couple of hours from Edinburgh. This is an east facing beach backed by sand dunes, pink sandstone hues and framed by low cliffs to the north and south. The colourful, banded, Devonian-age volcanic rocks you will see are known locally as “Scotch Pebbles”. For location information see our Lunan Bay beach page. Herne Bay sits facing out into the North Sea on the Kent coastline. The beach at Herne Bay is shingle with wooden groynes giving way to sandy mudflats at low tide and it is these mudflats that provide great opportunities for beachcombing. Previous finds have ranged from shark teeth fossils, Victorian coins, and even a possible pair of mammoth tusks, as found by a fisherman in 2013. After high tides, you are pretty much guaranteed to find sharks’ teeth fossils. 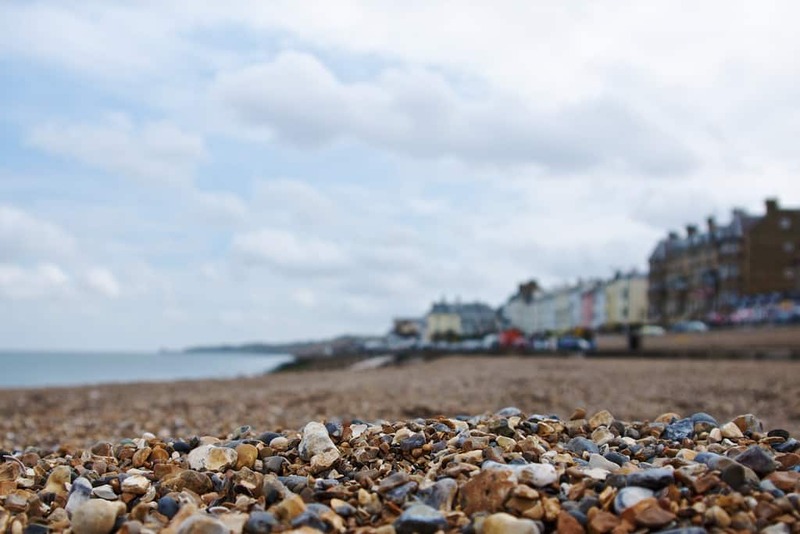 The Herne Bay museum has a collection of items found on the beach over the years. For location information see our Herne Bay beach page. Cardigan Bay is on the Ceredigion coast and is known for the skeletal stumps of oak, birch, willow, hazel and pine trees, remnants of the Forest of Borth, which was buried under peat, sand and saltwater more than 4,500 years ago, and can be best seen at low tide along the beaches near the villages of Borth and Ynyslas. 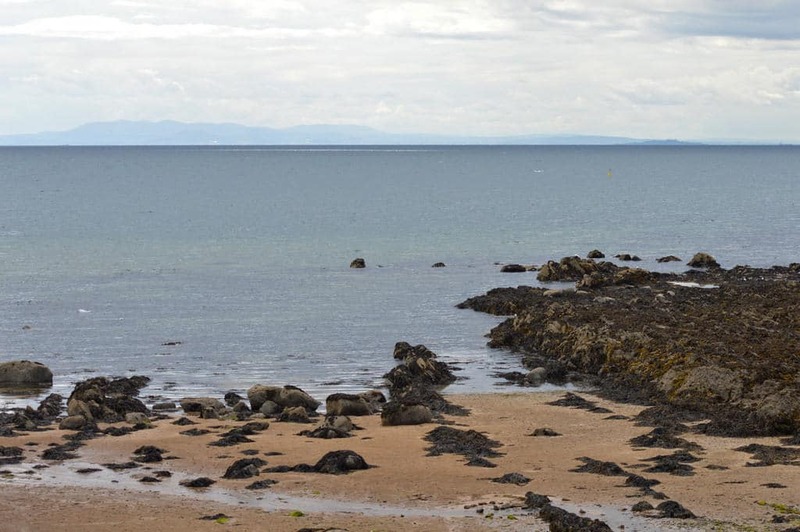 Ruby Bay is beside the village of Elie in Fife, Scotland. The beach is known for “Elie rubies”, blood-red pyrope garnets embedded in the volcanic rock along the shoreline. On a sunny day, you can lie down along the high tide line and you should see the rubies glinting in the sunlight. For location information see our Ruby Bay beach page. 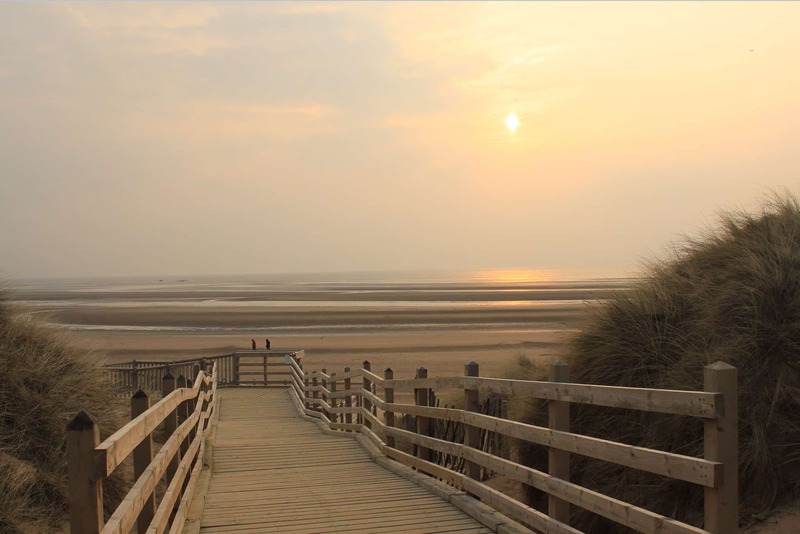 The Sefton Coast is a 4605.3 hectare (11379.9 acres) Site of Special Scientific Interest (SSSI) which stretches for 20 km (12 miles) between Southport in the north and Crosby Beach in the south. 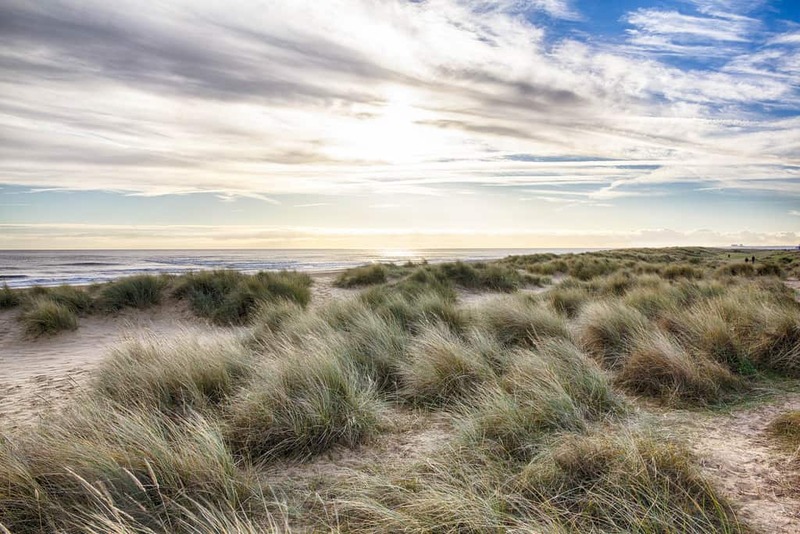 The Sefton Coast has large areas of fixed and shifting dune systems, wonderful wildlife and woodlands. After strong westerly winds, beachcombing on the Sefton coast comes to life with shells, bone and driftwood washed up on this Irish Sea tideline. Whilst visiting the Sefton Coast you must also pay a visit to Crosby Beach which is the site of Antony Gormley’s art installation of iron statues called “Another Place”. 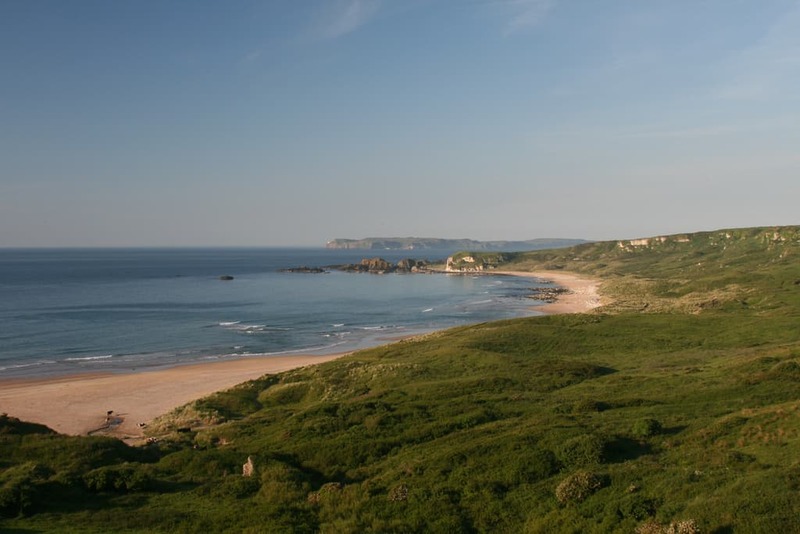 White Park Bay is in County Antrim, Northern Ireland. This is a sandy beach on the North Antrim coast backed by sand dunes and rich chalk grasslands, where beachcombers can find limestone and bivalve fossils. A common find is “Devil’s toenails” which are oysters that lived on the seabed in shallow waters, the complete fossil consists of two articulated valves: a larger gnarly-shaped shell (the “toenail”) and a smaller, flattened shell, the “lid”. The rivers that pass through the beach on their way to the sea have been known to offer up Neolithic tools. For location information see our White Park Bay page. The Amber Coast in Suffolk covers the beaches between Felixstowe in the south and Southwold to the north with this stretch of coast is a great place to look for amber, fossilised resin from the ancient forests, although raw amber looks like a dull brown/red stone and it is only when it’s polished that it comes to life. Sometimes you can see ancient specimens within the stone and the most famous and one known to just about everyone is the mosquito amber stone walking stick in Jurassic Park. I am sure our community at Coast Radar will think we have missed some cracking beachcombing or fossil hunting locations, so why not drop them as a comment here or let us know on facebook. Next Next post: Where is the nearest beach to Milton Keynes?